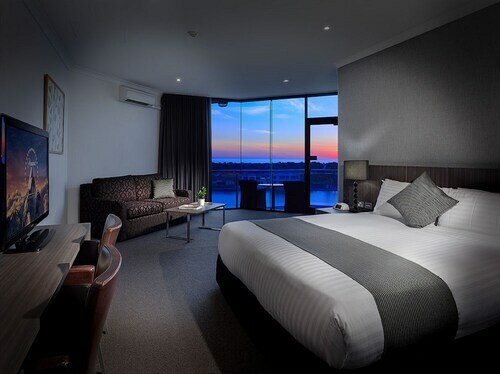 Situated near the airport, this luxury hotel is 0.4 mi (0.6 km) from Westfield West Lakes and within 3 mi (5 km) of Henley Beach and Grange Beach. Queen Elizabeth Hospital and Australian Museum of Childhood are also within 3 mi (5 km). 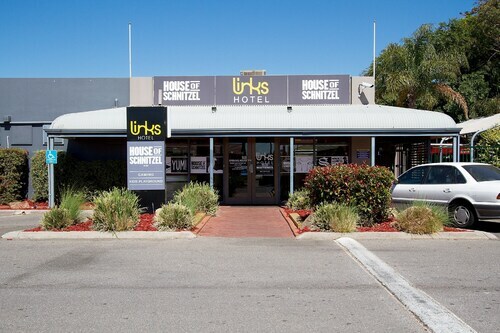 Situated in Woodville North, this hotel is 1.5 mi (2.5 km) from Queen Elizabeth Hospital and within 6 mi (10 km) of Adelaide Oval and Henley Beach. Rundle Mall and Royal Adelaide Hospital are also within 6 mi (10 km). Woodville Park Station is 19 minutes by foot and Woodville Station is 20 minutes. 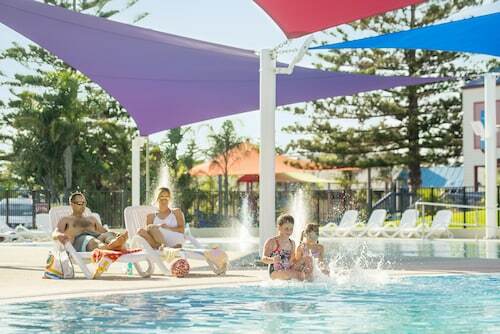 Situated in the suburbs, this motel is close to Westfield West Lakes, Grange Beach, and Queen Elizabeth Hospital. Local attractions also include Australian Museum of Childhood and South Australian Maritime Museum. Are you trying to find an interesting area in South Australia? Charles Sturt is situated 590 kilometres southeast of the city's central area. Whether you're in South Australia for a quick visit or a good chunk of time, the Victoria Square, Government House and Rundle Mall will keep you entertained. If you're a golfing addict, arrange a round or two at Royal Adelaide Golf Course. Want to put your feet up not far from this place? Think about The Lakes Resort Hotel and Findon Hotel. If you want to have an afternoon out under the sun, hit the greens at Grange Golf Course. The Links Hotel and Hendon Hotel are your leading options for this site. Cotto Woodville is the ideal refuge if you get stuck with a miserable day in Charles Sturt. Curl up with a book or just while away the afternoon with friends over some coffee and pastries. After you've completed everything on your list for the afternoon and your thoughts start drifting to dinner, why not check out the menu at Links Hotel? This local eatery serves up a variety of savoury meals that everyone will be sure to love. 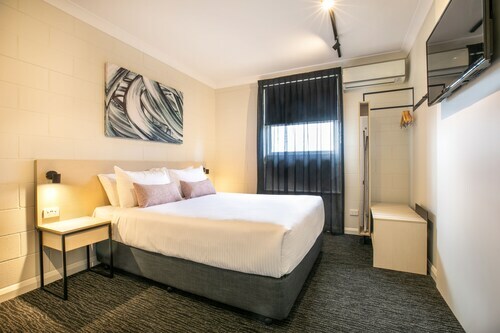 If you cannot book the perfect Charles Sturt hotel deal, it is worth checking out the lodging options in Mansfield Park and Ethelton. At Wotif we live for travel. It doesn't matter whether you're off to Charles Sturt or anywhere else on this amazing blue planet of ours, we'll make sure you get there on time, on budget and in style. 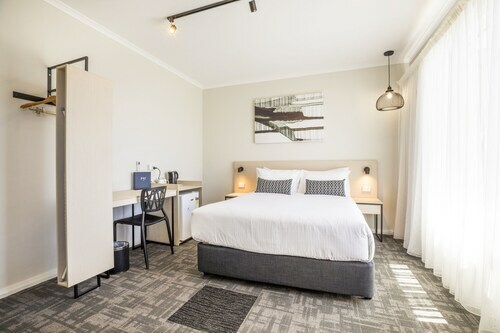 How Much is a Hotel Room in Charles Sturt? 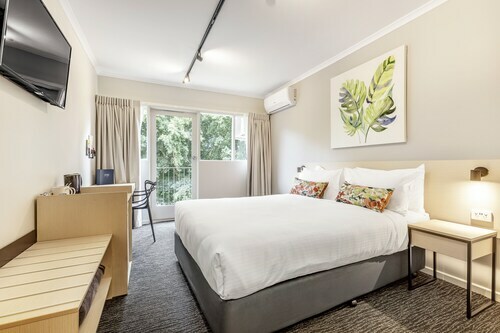 Hotels in Charles Sturt start at AU$66 per night. Prices and availability subject to change. Additional terms may apply. Great location for us and view over the lake was terrific. Will definitely stay here again. Only suggestion would be the reception staff could show a bit more enthusiasm.